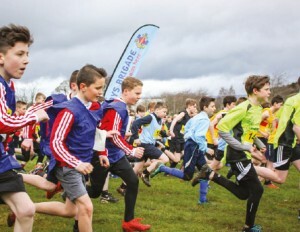 150 runners aged 11 to 18 competed at The 79th Annual Cross-Country Championships in Glasgow’s Bellahouston Park on Saturday 18th March. Young athletes from 12 Battalions completed in three separate races in what turned out to be very challenging weather conditions. Brodie Aitken (representing Airdrie, Coatbridge & District) clinched the Junior title in 09:21; Jonathon Houson (representing the East Ayrshire team) won the Intermediate race with a time of 12:16; and James Gillon (representing Wishaw & District) took the Senior individual title with a time of 19:05.